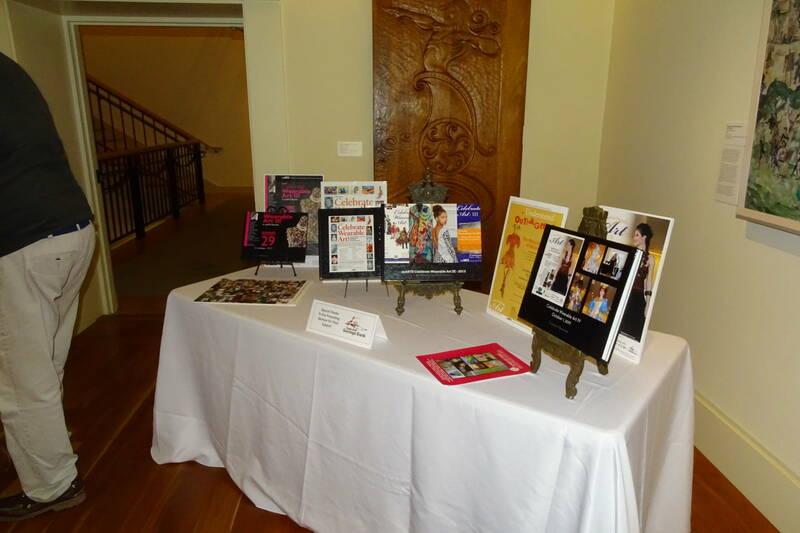 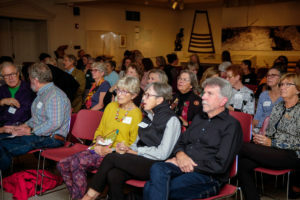 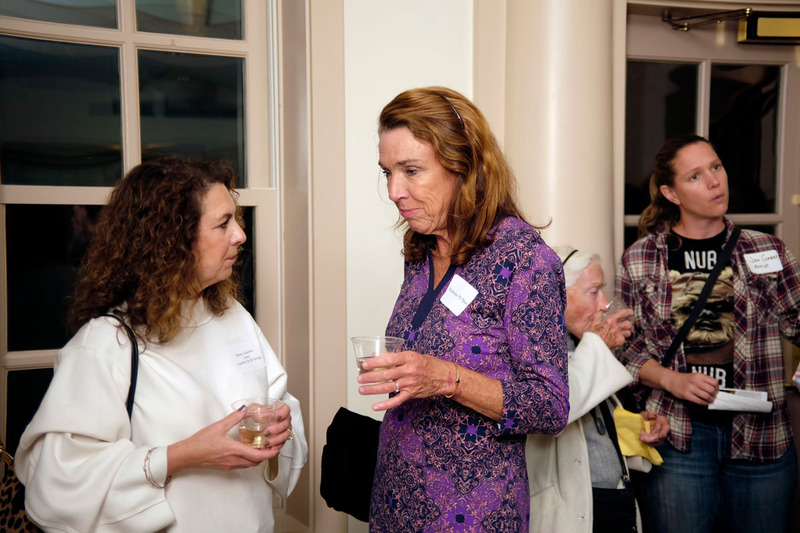 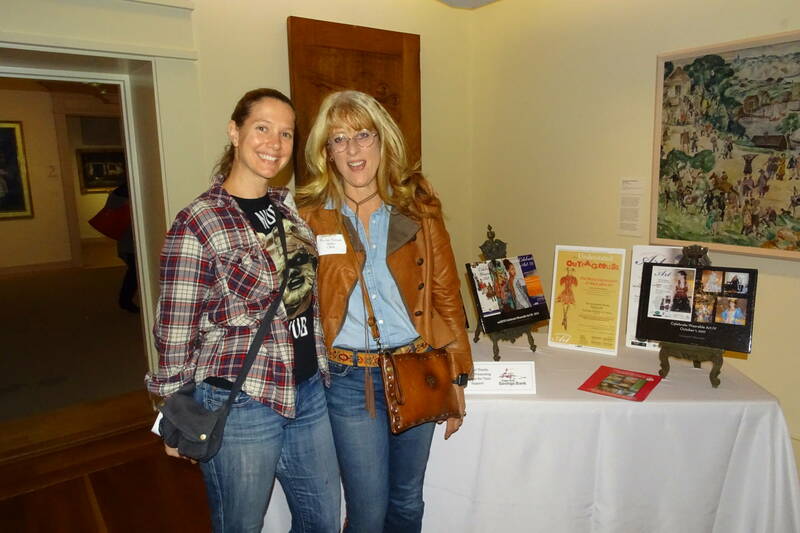 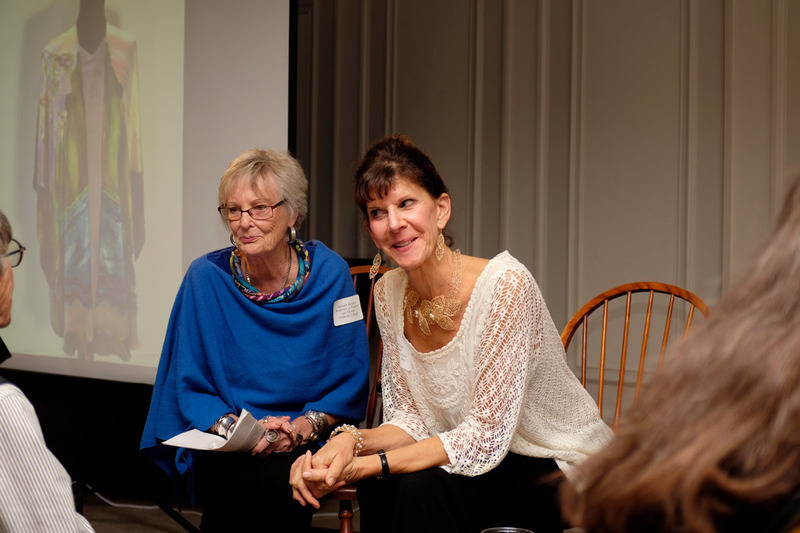 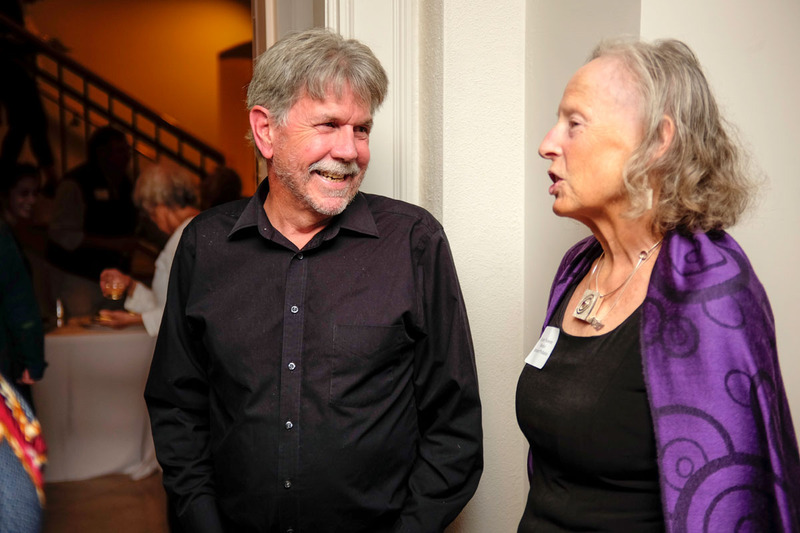 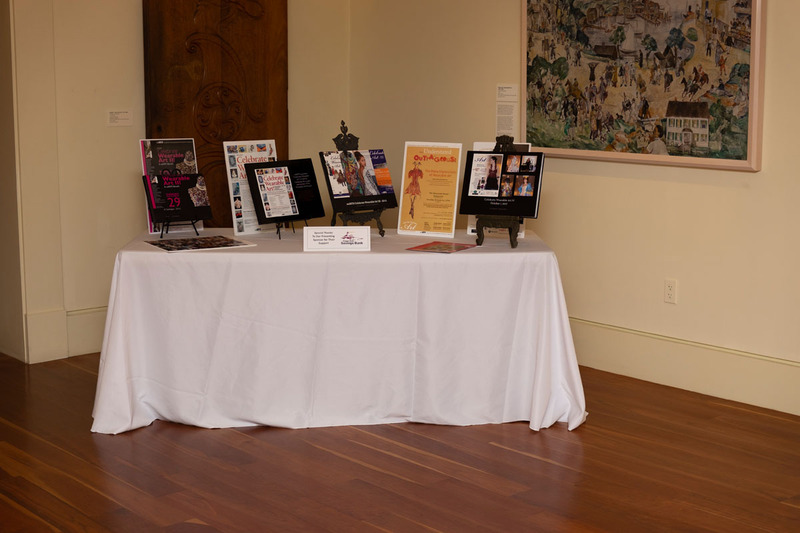 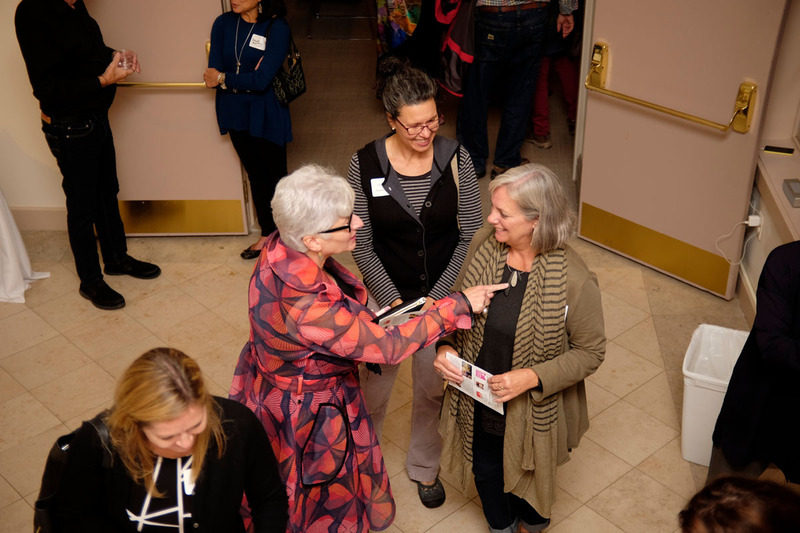 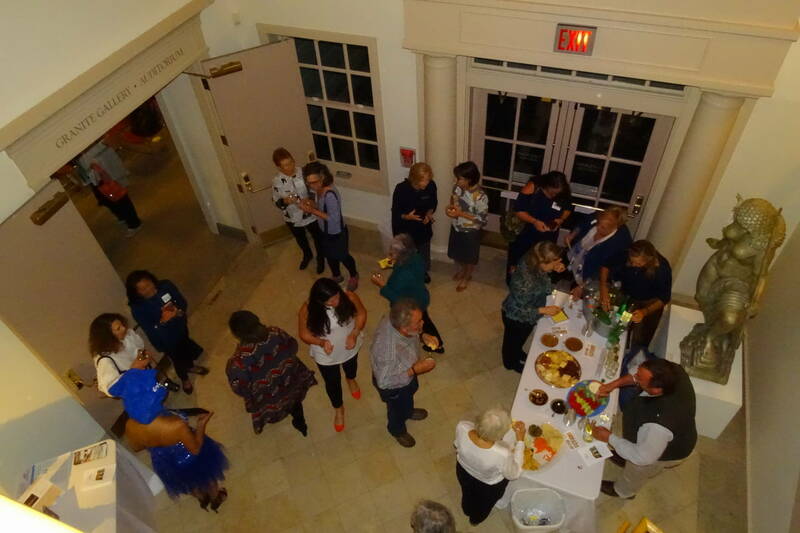 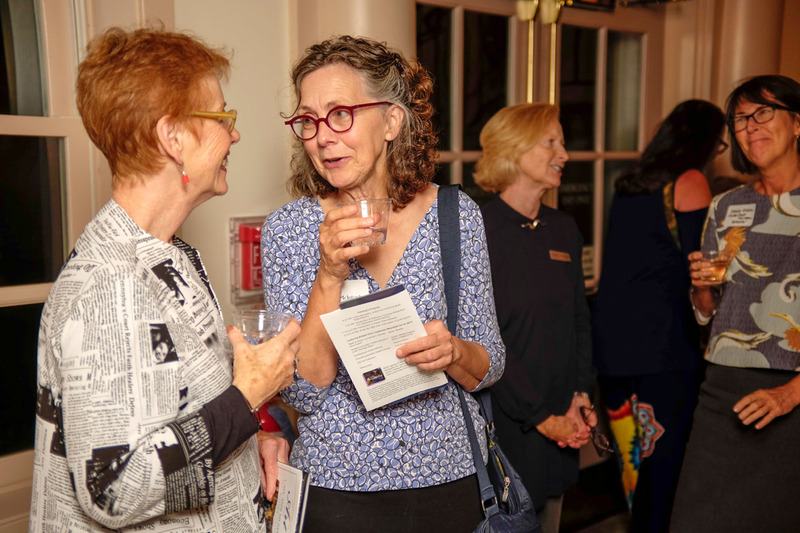 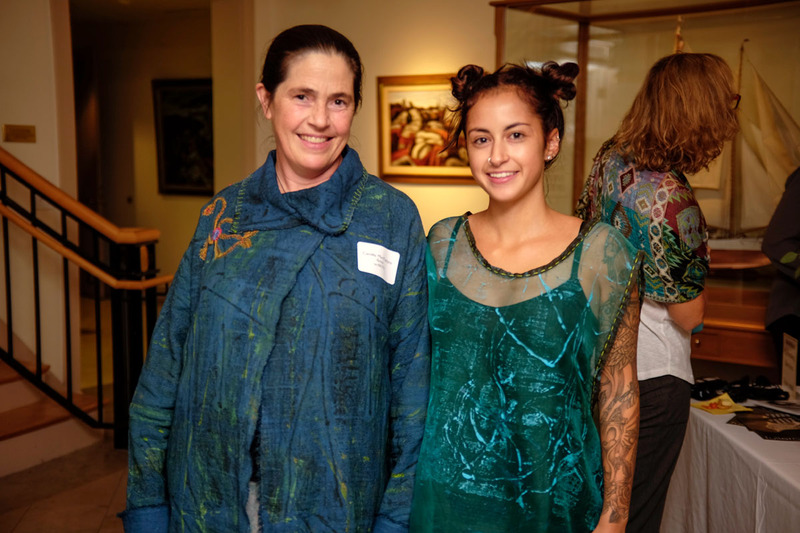 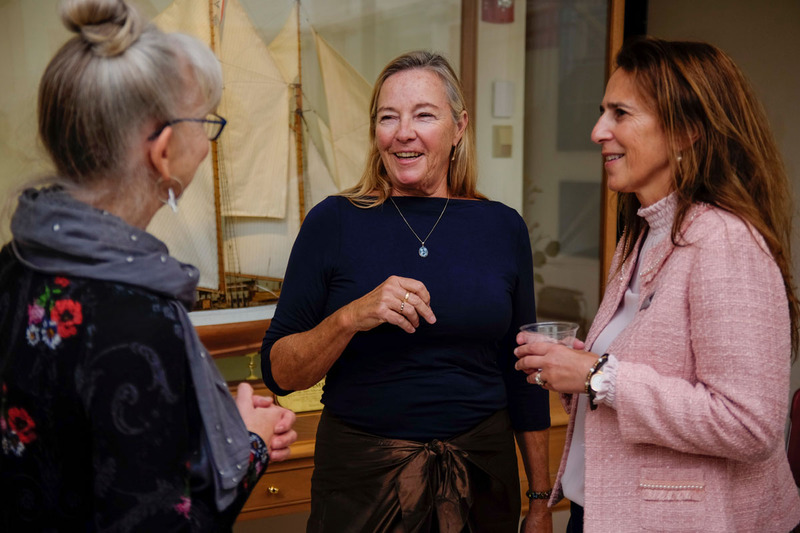 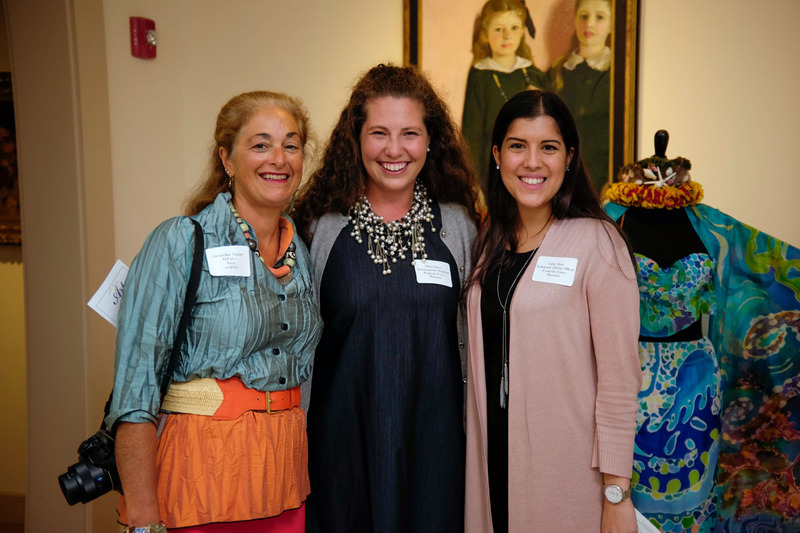 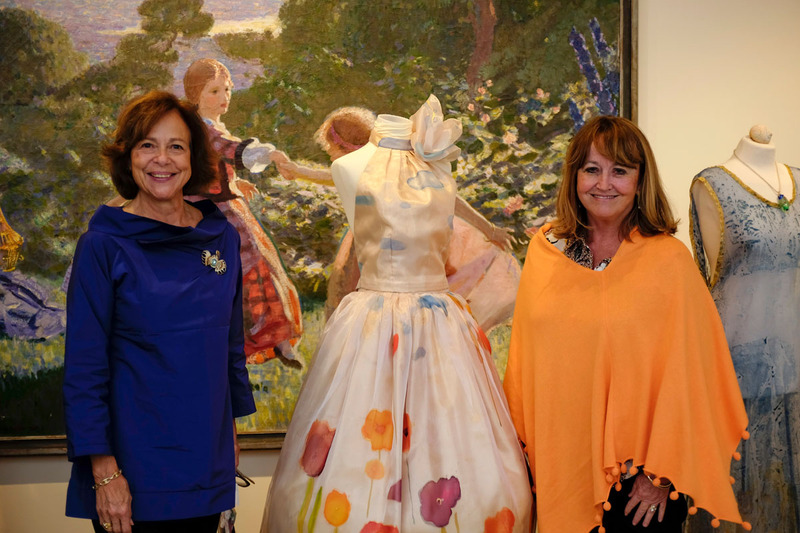 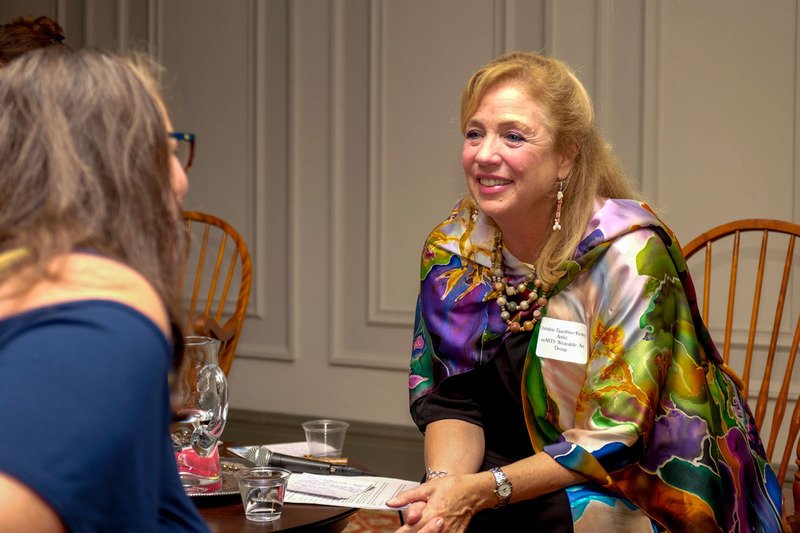 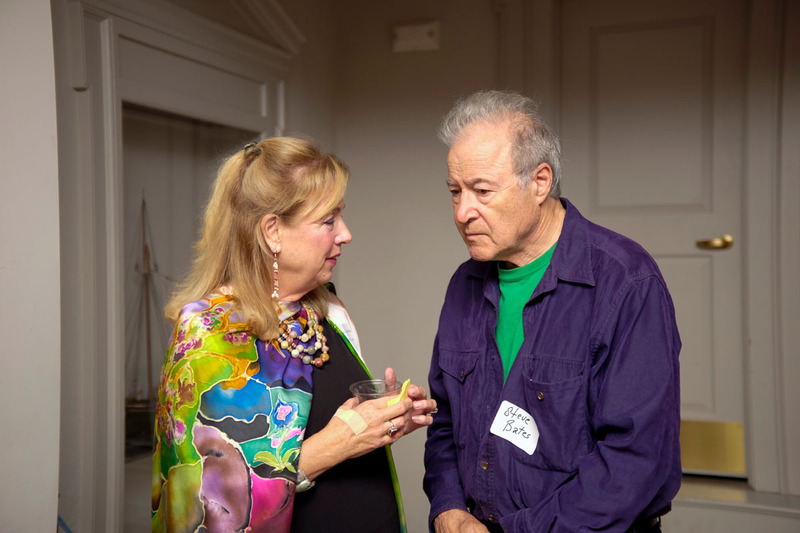 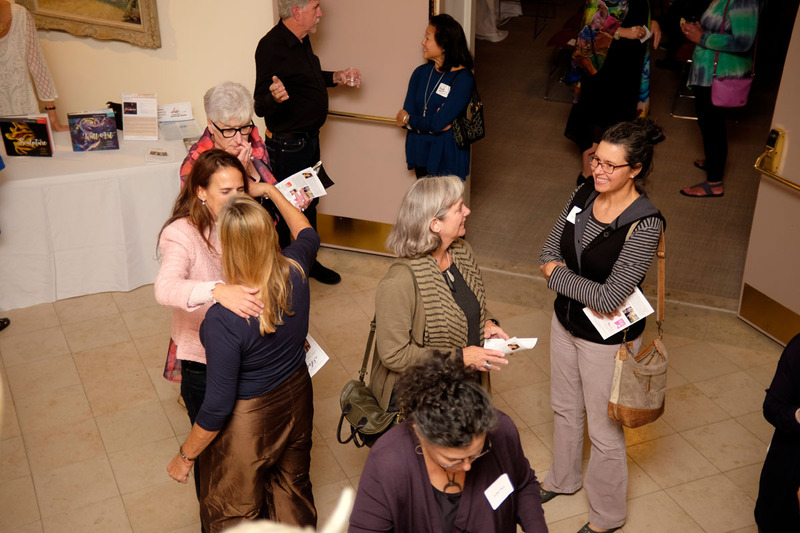 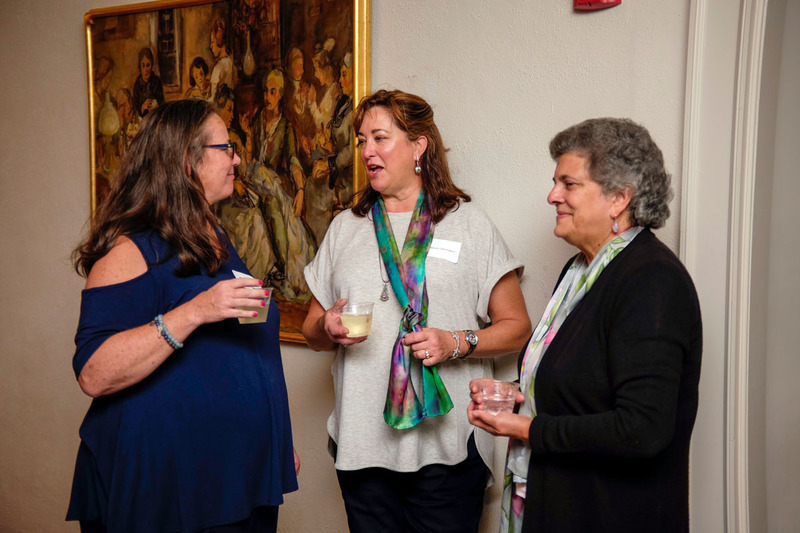 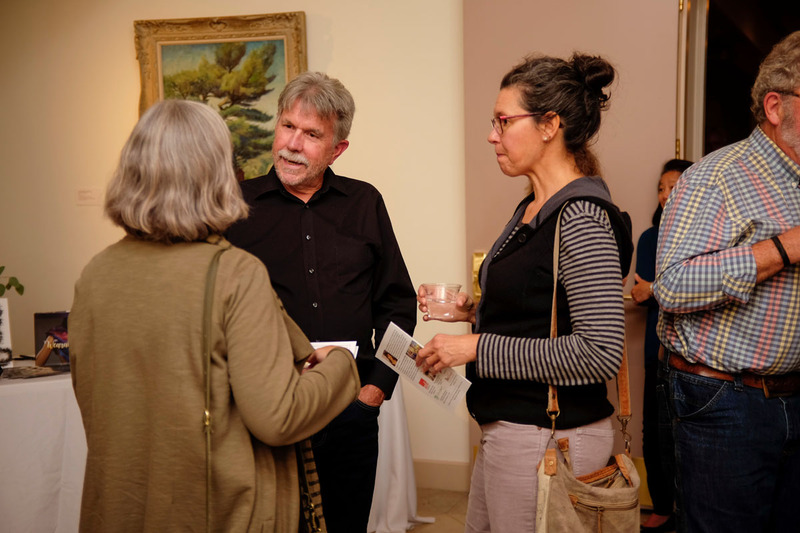 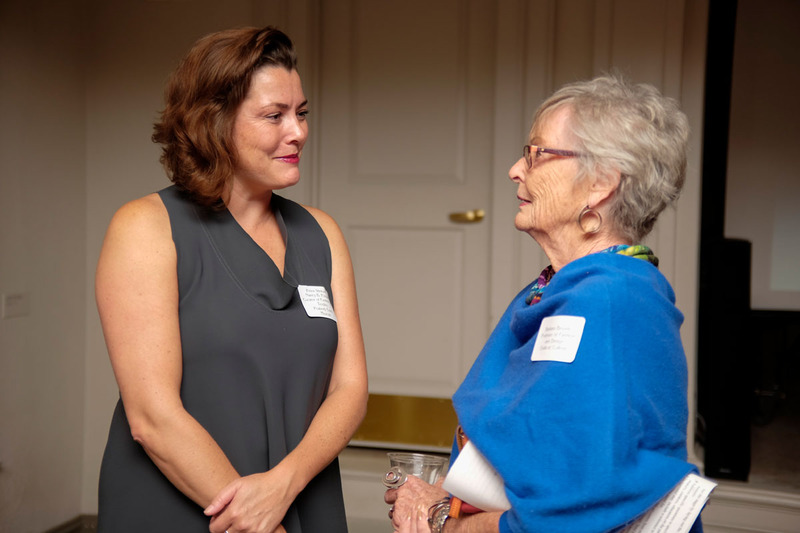 seARTS and the Cape Ann Museum presented the 2018 Wearable Art Salon on Thursday, October 4. 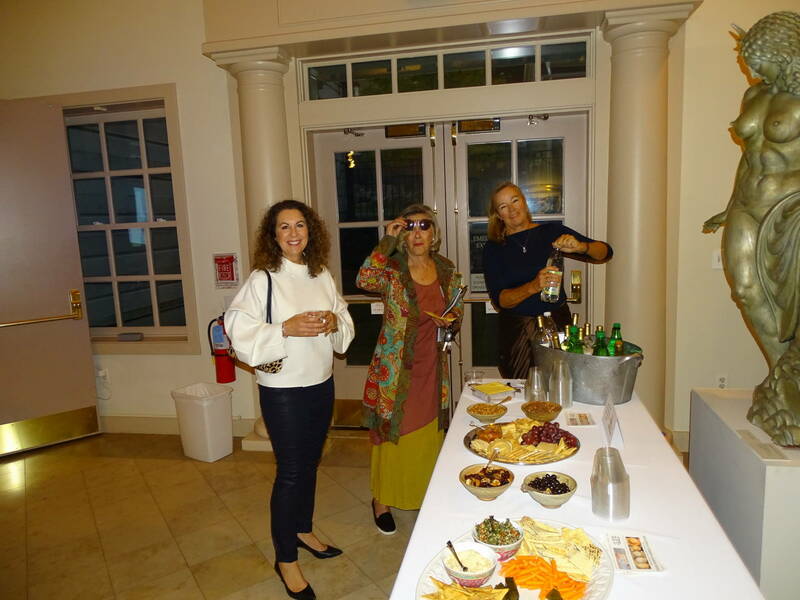 Guests enjoyed a panel discussion, book signing and a selection of 2017 CWA runway looks. 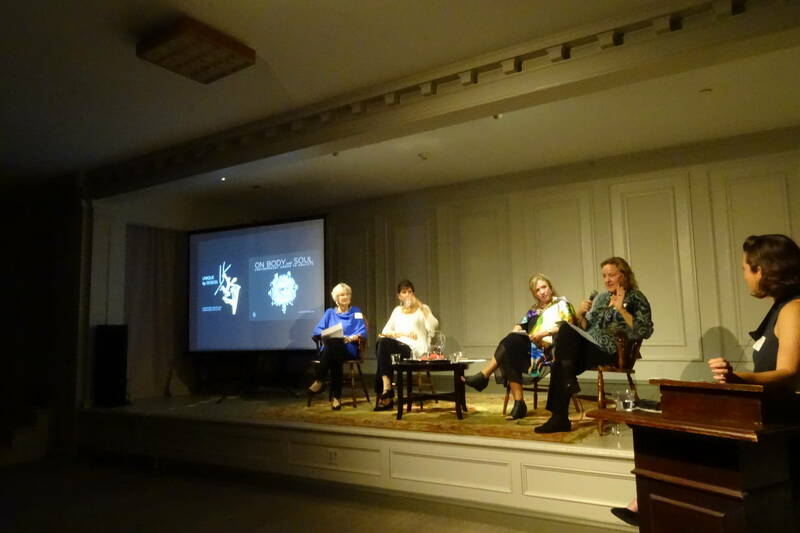 Panelists include former professor of fashion and design Barbara Broudo, editor and curator Suzanne Ramljak, author Anne Lee and artist Christine Gauthier-Kelley. 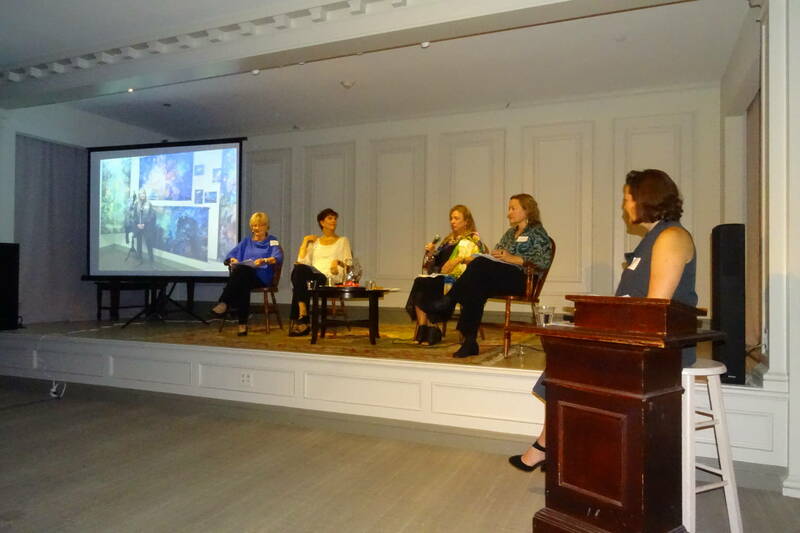 The panel will be moderated by Petra Slinkard, The Nancy B. Putnam Curator of Fashion and Textiles at the Peabody Essex Museum. 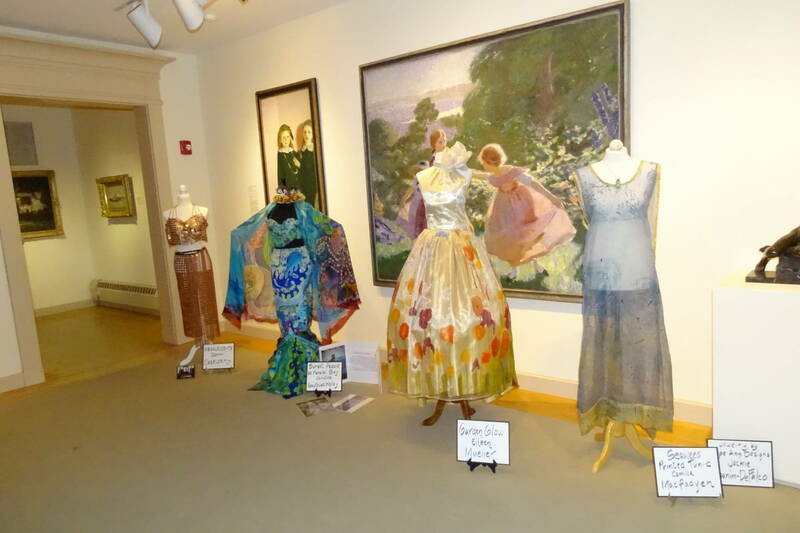 The Folly Cove Designers (1938 – 1969) – whose work is displayed at the Cape Ann Museum — led the way in “wearable art” on Cape Ann many years ago. Now the seARTS Wearable Art group is an integral part of the contemporary art scene. 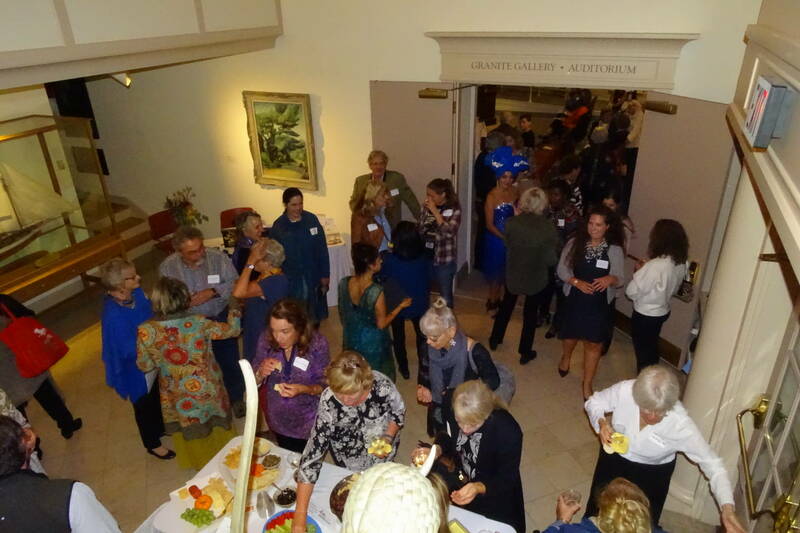 The seARTS Salon series began in 2006. 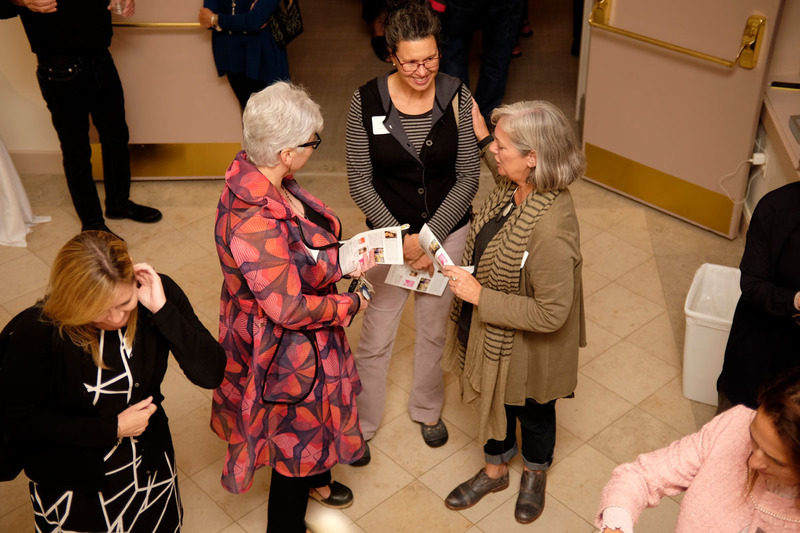 These discussions present an opportunity to explore various aspects of wearable art from the perspective of makers, curators, educators, and wearers. 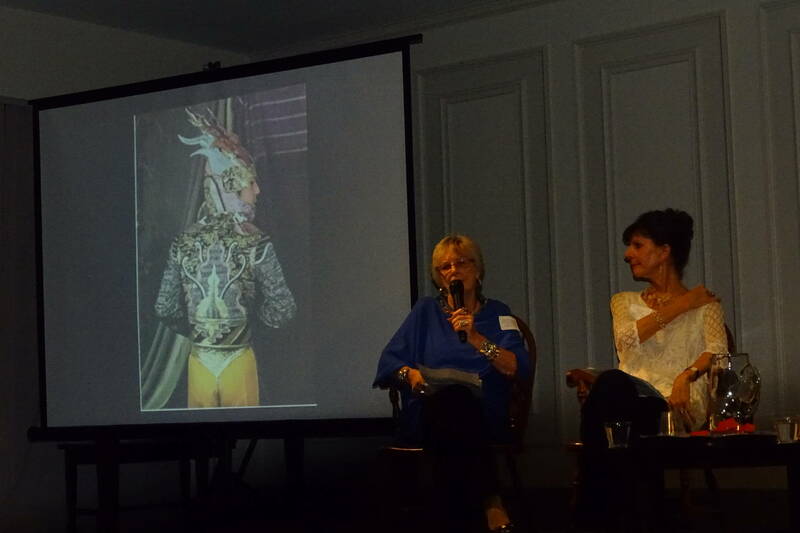 The 2018 Salon probed wearable art’s impact in relation to education, fashion, exhibitions, and the artist’s own creative experience. 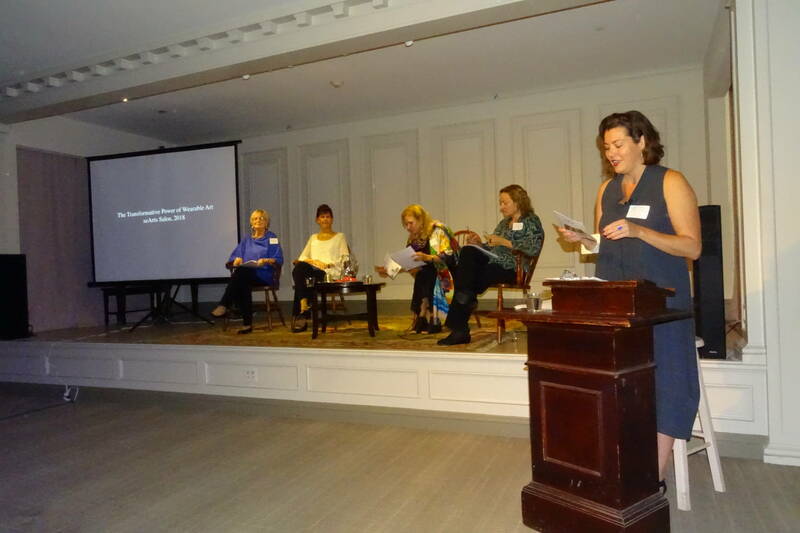 The keynote moderator was Petra Slinkard, The Nancy B. Putnam Curator of Fashion and Textiles at the Peabody Essex Museum(PEM). 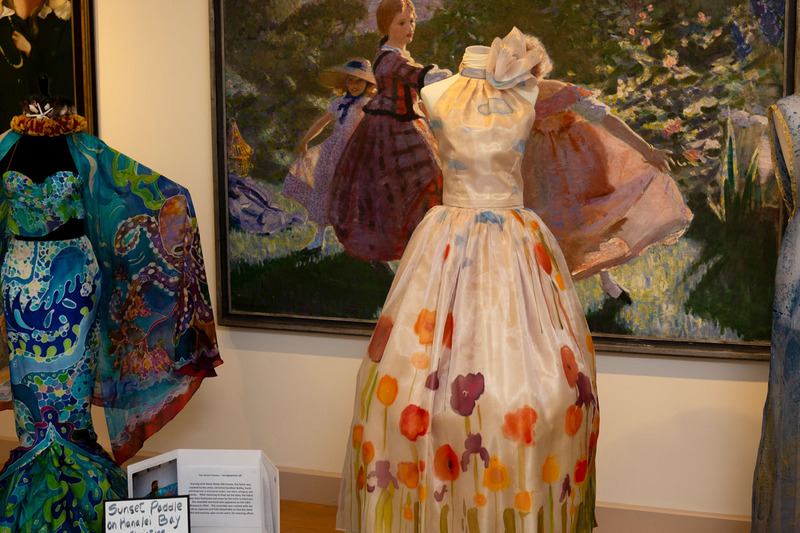 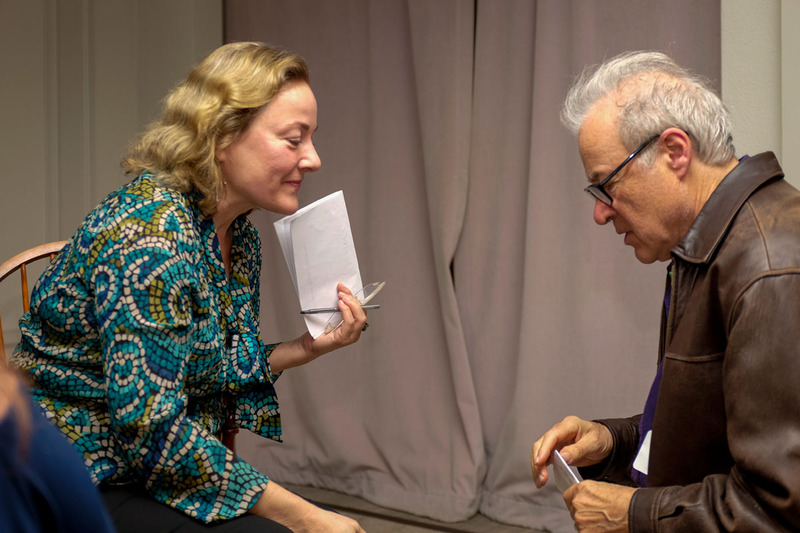 Petra joined PEM in 2018, following her role as Curator of Costume at the Chicago History Museum, where she worked with a collection of more than 50,000 examples of fashion and textiles for exhibitions and research, acquisition and community outreach. 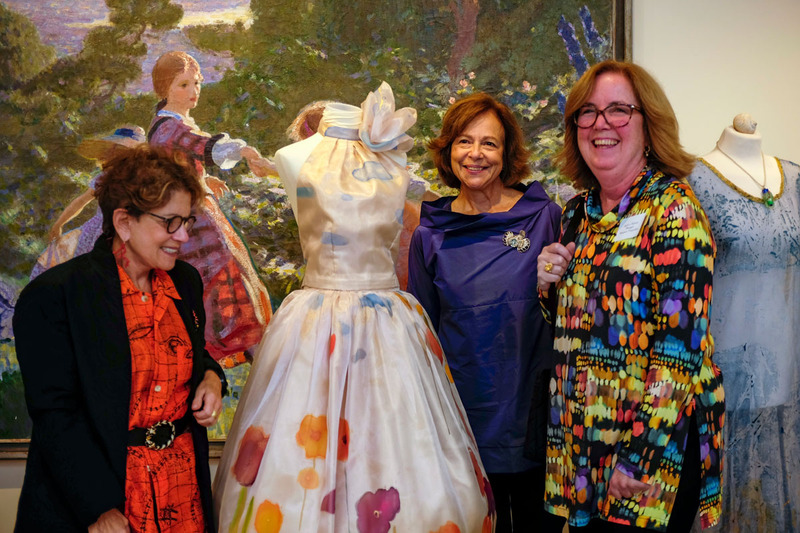 At PEM, Slinkard’s focus is to foster the growth and innovative, inclusive spirit of the museum’s celebrated fashion initiative and to develop a vibrant array of exhibitions, installations and programming that celebrate the global impact and reach of fashion. 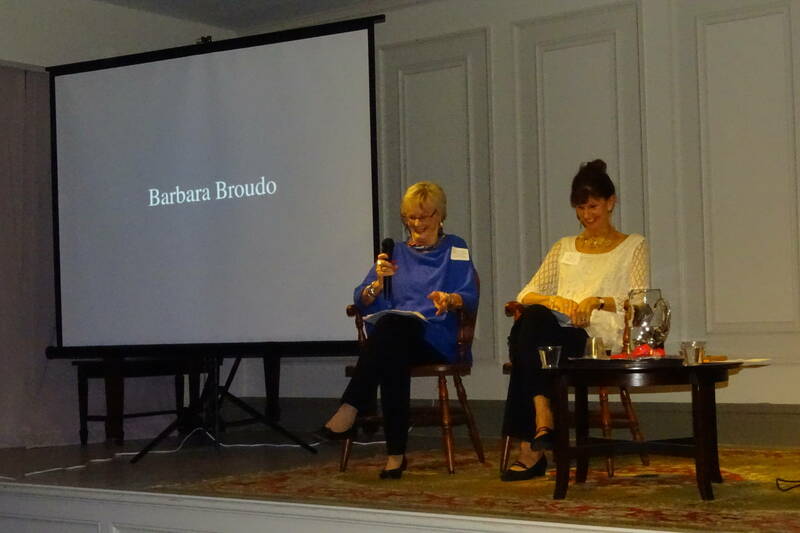 Petra was joined by panelist Barbara Broudo, former Director of the Endicott College Museum and Archives. 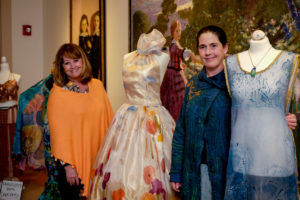 Broudo has spent her career involved with the world of Fashion. 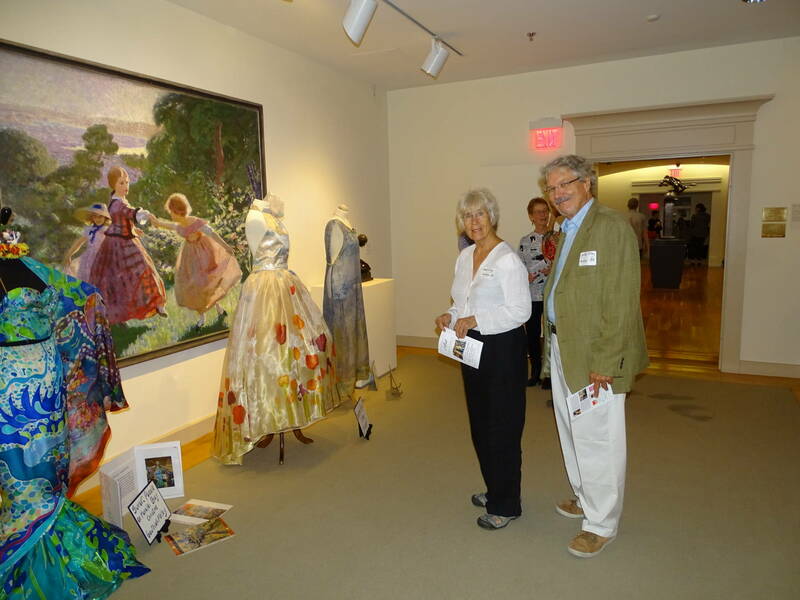 After serving as Professor of Fashion/Apparel Design at Endicott College for over 30 years, she then became the Historian and Archivist at Endicott College maintaining the historical, evidential, legal, fiscal and administrative records of the College along with curating exhibits pertaining to Endicott College and its growth. 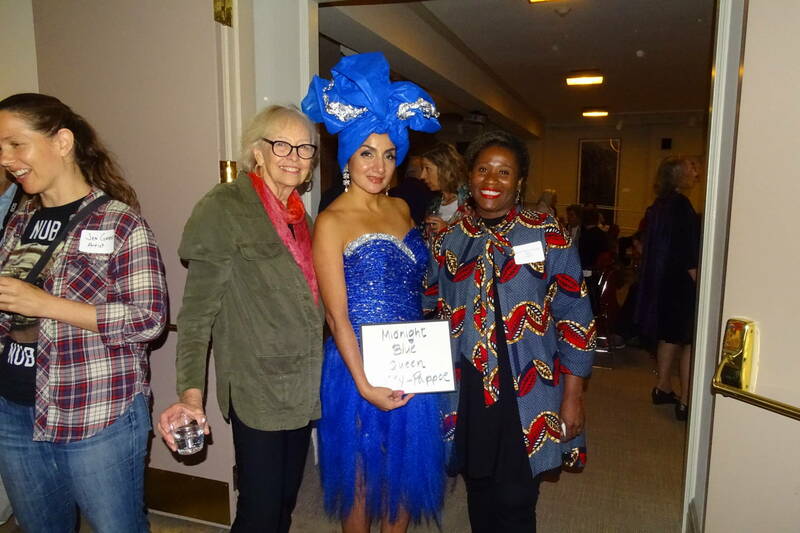 A major focus of Barbara’s career has been her involvement with the Costume Society of America. 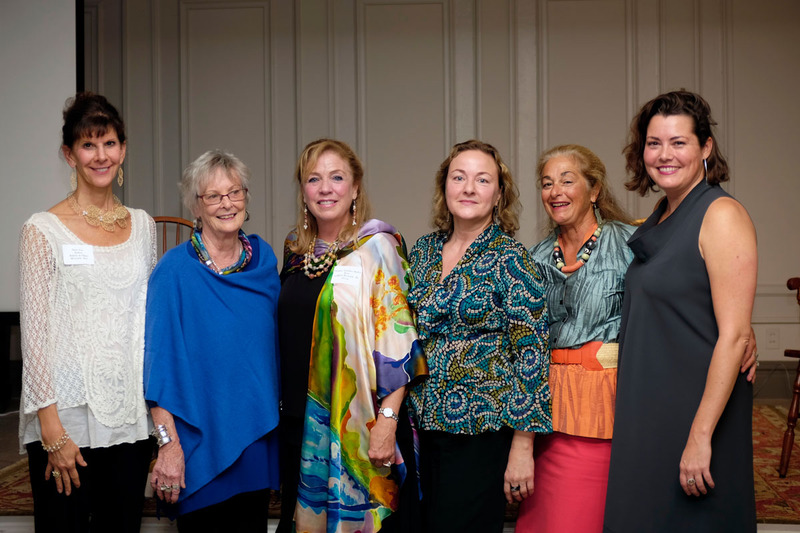 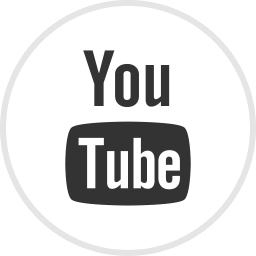 A global organization, CSA promotes the understanding of all aspects of dress and appearance through education, research, preservation and design. 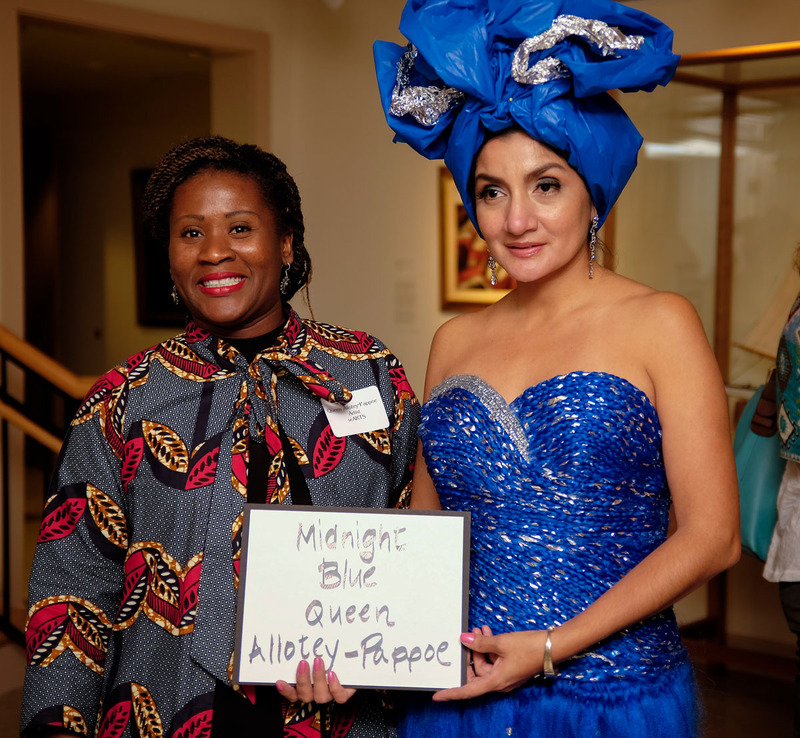 The organization also works to stimulate scholarship and encourages the study of the rich diverse field of costume. 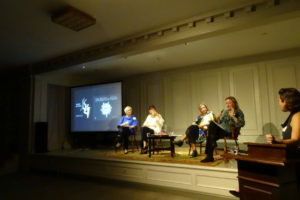 Panelist Suzanne Ramljak, longtime editor of Metalsmith magazine and curator of the Fuller Craft Museum’s exhibition, Uneasy Beauty: Discomfort in Contemporary Adornment (opening on October 6th), is a writer, an art historian, and currently the curator at the American Federation of Arts, New York City. 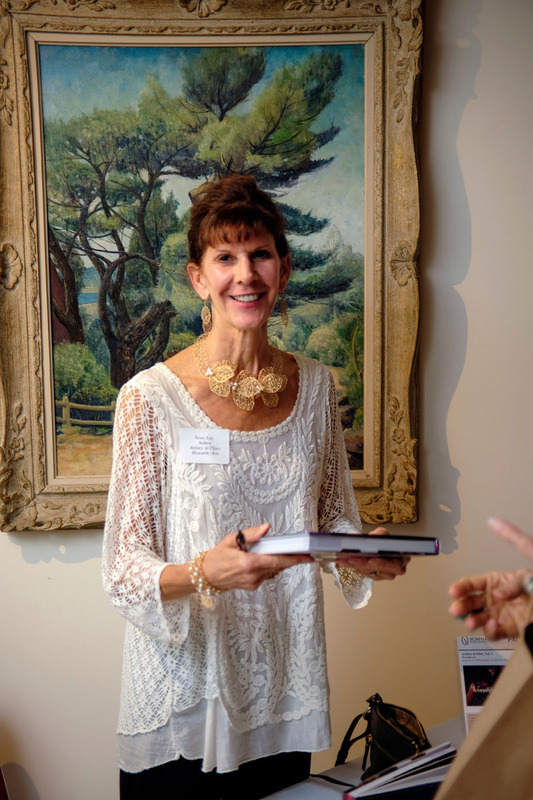 She served as editor of Metalsmith, magazine from 2001 until this year, and was formerly editor of Sculpture magazine and of Glass Quarterly. 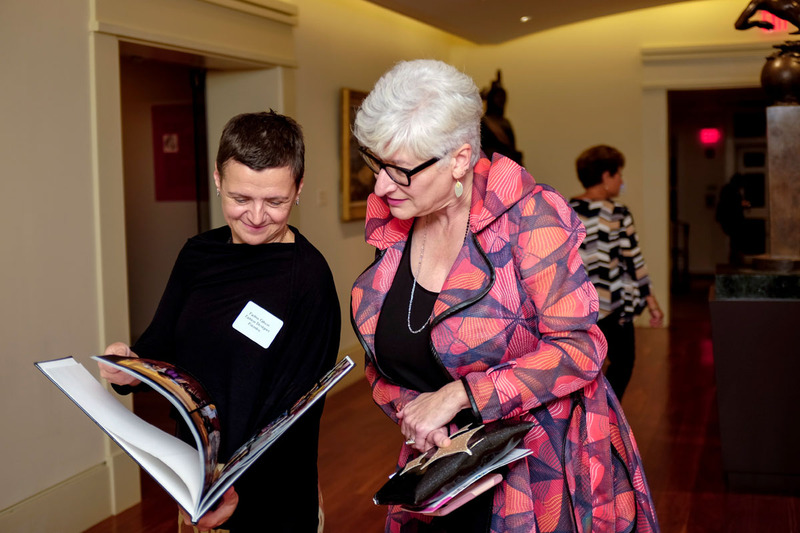 Ramljak has authored several books and catalogues, including On Body and Soul: Contemporary Armor to Amulets and Unique by Design: Contemporary Jewelry in the Donna Schneier Collection at the Metropolitan Museum. She has served as guest curator for numerous exhibitions, most recently Natural Wonders: The Sublime in Contemporary Art, now at the Brandywine Museum, and Uneasy Beauty: Discomfort in Contemporary Adornment opening in October at the Fuller Craft Museum. 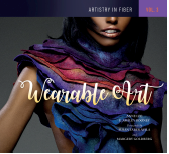 Panelist Anne Lee co-authored Encaustic Art in the Twenty-First Century (2016) and a three-volume series, Artistry in Fiber (July 2017) covering Wall Art, Sculpture, and Wearable Art (all from Schiffer Publishing). 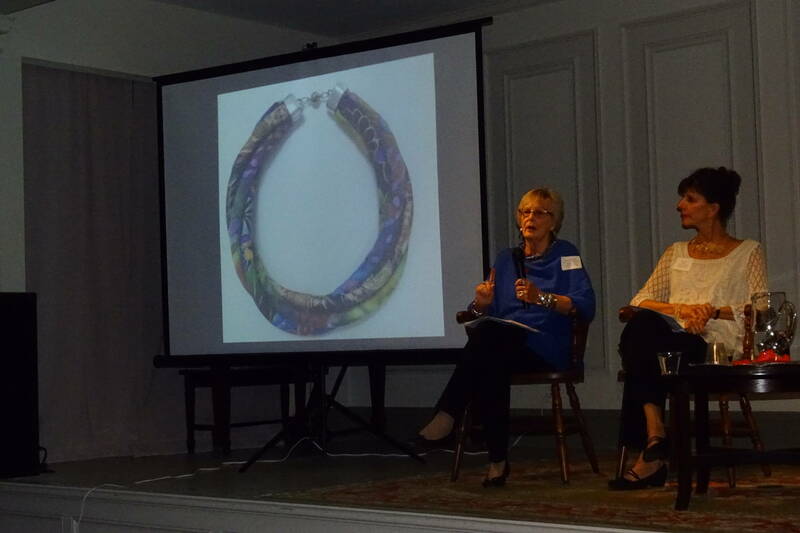 In addition, Anne has written articles for Fiber Arts Now, Art Quilt Collector, and the NBO Quarterly Review. 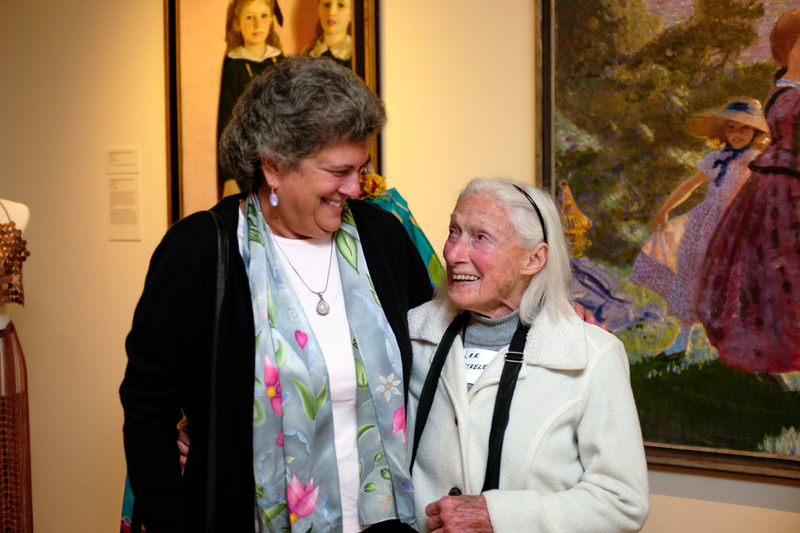 Prior to her writing career, she researched, curated, and wrote about exhibitions at Vose Galleries in Boston. 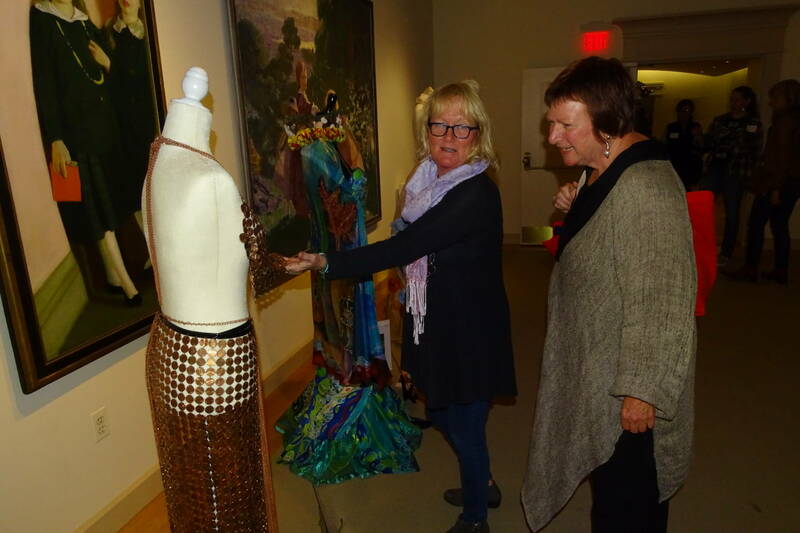 Panelist Christine Gauthier-Kelley is a silk painter and wearable artist who was an early member of the seARTS Wearable Art group and participant in Celebrate Wearable Art starting in 2011. 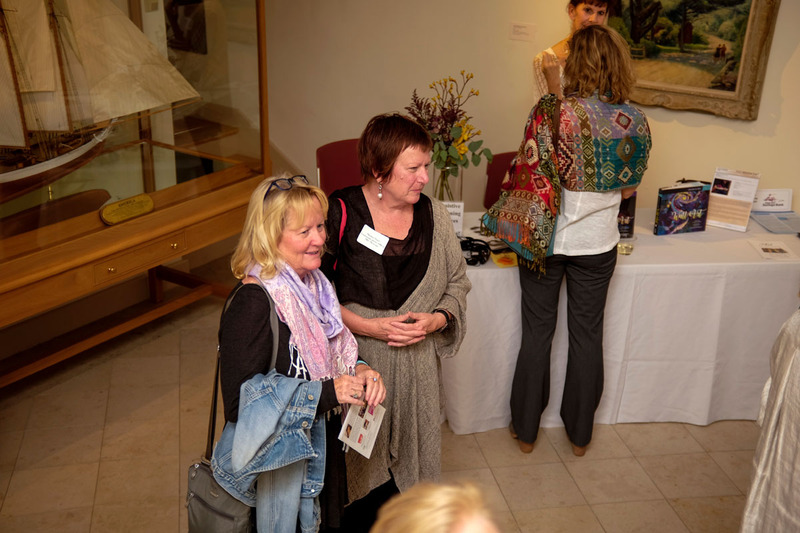 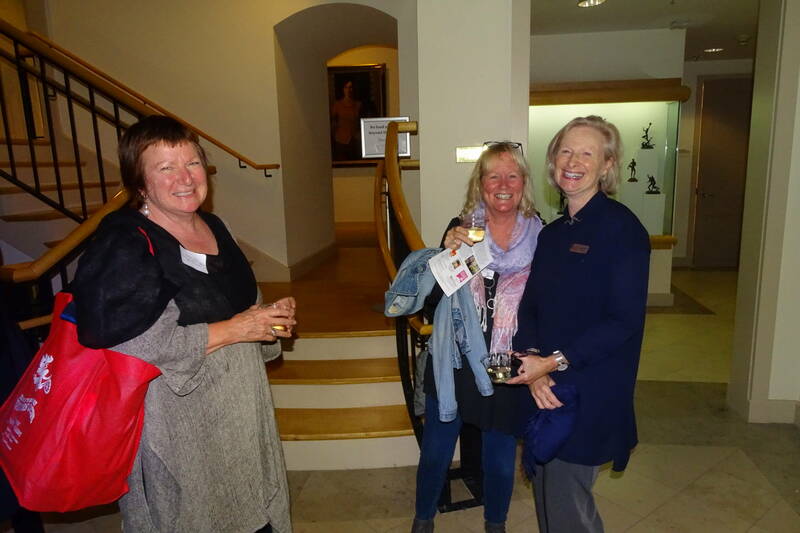 Christine creates her works at Ten Pound Studio in Gloucester and has recently presented a solo show at the Manchester Historical Museum. 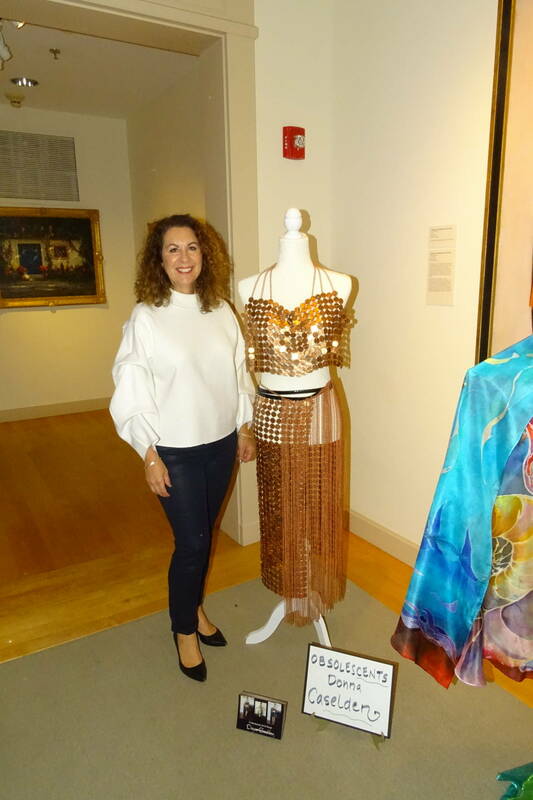 A select number of looks from 2017’s Celebrate Wearable Art IV were shown at the Cape Ann Museum during the October 4th event. 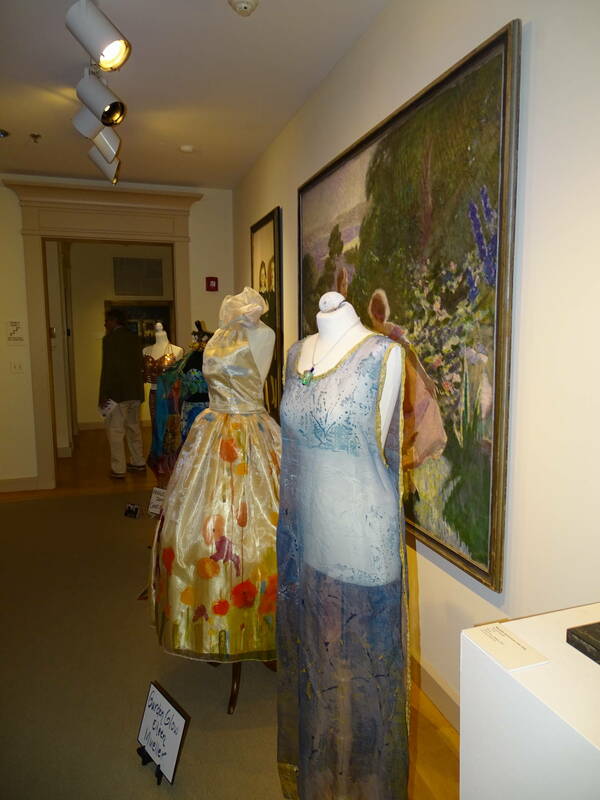 These include co-winner of “Best of Show” “Garden Glow gown,” by Eileen Mueller, Student Innovation Award Winner’s look “Midnight Blue” by Queen Allotey-Pappoe from Mass College of Art, Coastal Inspiration Award winning looks by Camilla MacFadyen and Donna Caselden’s Obselecents. 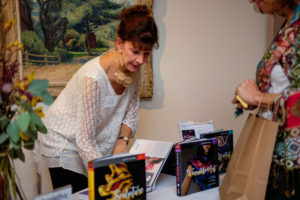 There was a book signing of Artistry in Fiber: Wearable Art and books will be sold in the Cape Ann Museum Shop through the end of October.